I've been studying for finals and haven't had time to doodle. This is an old design of mine that is also my favorite. The model is based on my pet duck Norman. That's ducky! 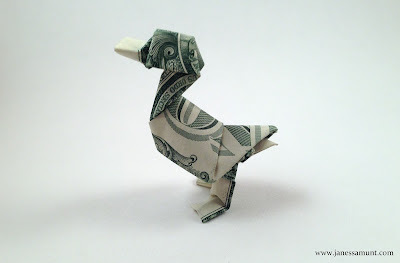 See Jason Ku's origami duck on his website. LOL, who has a duck for a pet! That is so funny. Thank you so much for sharing your origami with all of us.